The date for the 2019 event is Sunday, 18 August with a new route, and new start and finish venues. 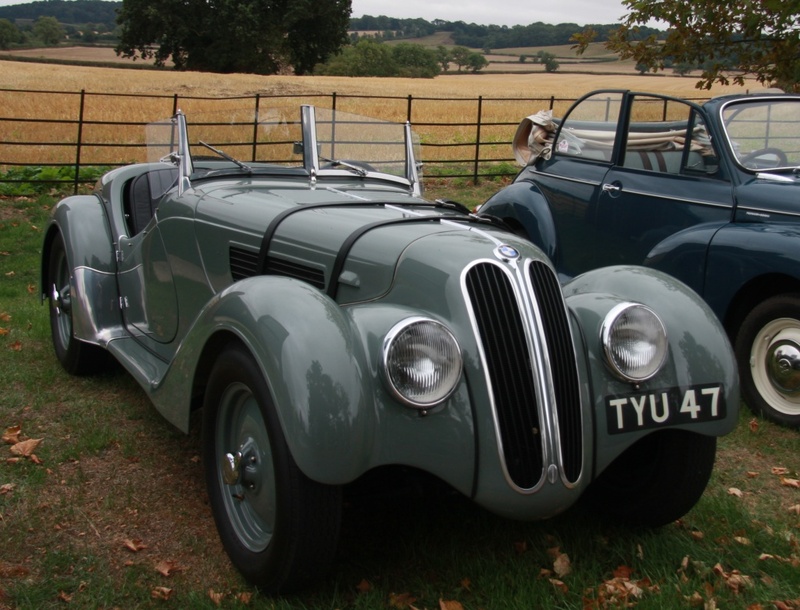 The event will commence from Stonehurst Farm in Mountsorrel, near Loughborough, with its eclectic motor museum. After breakfast, the route visits Charnwood Forest before turning east to a lunch halt at the popular location on The Meadows in Stamford, Lincolnshire, alongside the banks of the River Welland. The afternoon finishes at Deene Park near Corby where tea and cakes will be served adjacent to the beautiful gardens. Chris Glasby also supplied a small number of shots and these, too, are on the gallery page. The sixth Welland Valley Wander was a great day out for the capacity entry. Starting from Hothorpe Hall, the event journeyed through Leicestershire into Rutland to a coffee stop at Barrowden. Lunch was taken at Grimsthorpe Castle in South Lincolnshire after a drive along the impressive 3.8 miles long private drive. Returning back to Leicestershire, the event finished with a lap of the Bruntingthorpe test track before tea and cakes were taken by the finishers. Chris Glasby’s fantastic photograph captures the range of cars on the event this year. There were three awards given to participants: The most travelled went to Paul & Mike Beeson in their Triumph TR2, all the way from Worthing, Sussex. The most original car award went to Paul & Liz Easter in their 1928 Sunbeam. The car that people would most like to take home was overwhelmingly a vote for Richard & Eliza Wyldes’ 1939 BMW 328 with Richard White’s 1934 Aston Martin Le Mans and Stephen Kemp’s 1938 Citroen Light 15 roadster both getting the same number of votes in the runner-up spot. The start times and Final Instructions for the 2018 event are now published. They can accessed by clicking below or by going to the relevant web page. A reserve list of entries has been opened, as in an unprecedented situation, we now have a full entry for 2018. Entries include a past Monte Carlo Rally winner plus a Monte Challenge winner, a Scottish Rally winner, a Classic Marathon winner and a BTRDA Gold Star Rally championship winner amongst the entrants. Despite what has been written in the HRCR Old Stagger magazine and reported by other people as well, we are not yet full for the 2018 event, although we are filling up nicely and already approaching last year’s starting number (which was a record then!). So, if you are intending to join us, don’t delay in sending an entry asap to avoid disappointment. The 2018 event was launched at the HRCR Rally show at Garden in early January with the publication of the event flyer and entries are already coming in. An entry can be placed by using the entry form on the accompanying page and we can now take payment electronically. Send an email from the contact page and we will let you have the details. 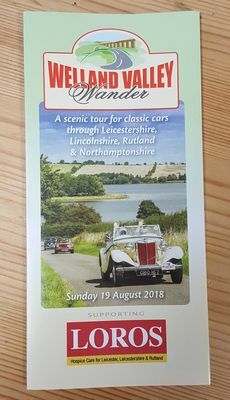 The Welland Valley Wander will take place in 2018 on Sunday 19 August. The start will be close to the source of the river Welland at Hothorpe Hall near Market Harborough. 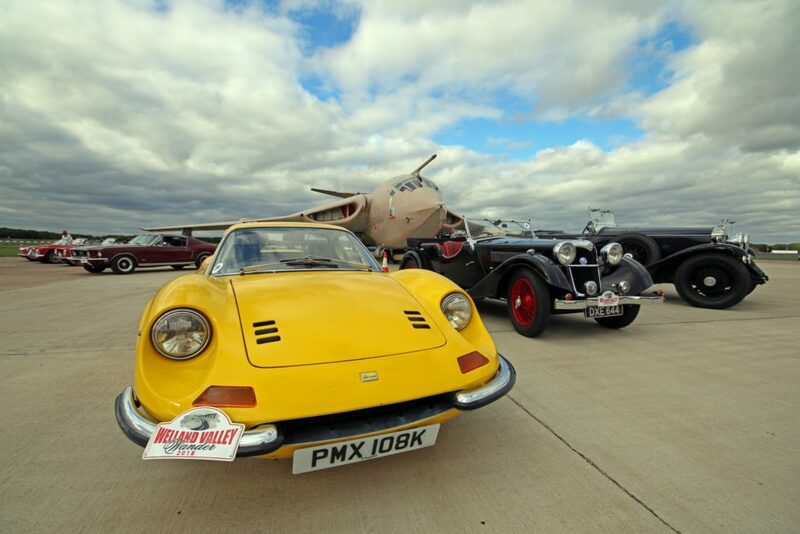 The lunchtime halt will be at one of England’s hidden gems – the impressive Grimsthorpe Hall in South Lincolnshire, before returning for the finish to Bruntingthorpe Proving Ground, near Lutterworth.